DISCLOSURE: I received free samples of FLIPZ Chocolate Covered Pretzels from Smiley360 to facilitate this post. All opinions are my own. 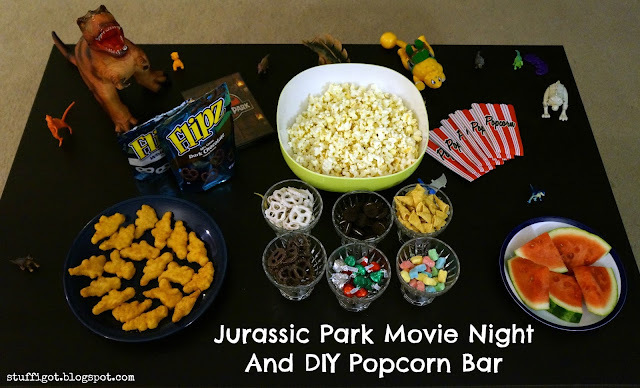 My one son went to see the new Jurassic World movie when it came out this past summer. He liked it and even asked for the Blu-Ray for Christmas. But, he had never seen the original Jurassic Park movie! We recently had our first Family Movie Night and I decided that it would be the perfect time for my son and my other kids to see the original Jurassic Park movie. I loved it watching it when I was younger and hoped my kids would like it, too. I thought my kids would enjoy having a DIY Popcorn Bar for our movie night snack. 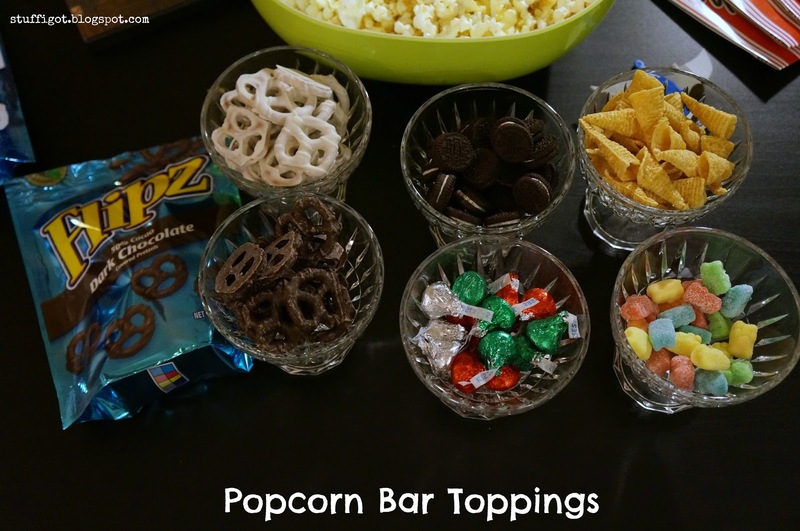 They love popcorn and I thought they'd have fun mixing in some fun toppings. 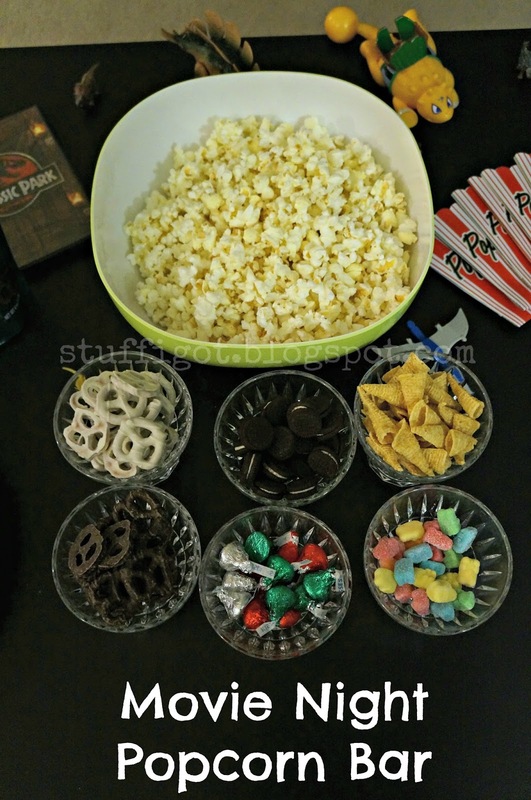 Popcorn bars are fun because you can customize it to your tastes. 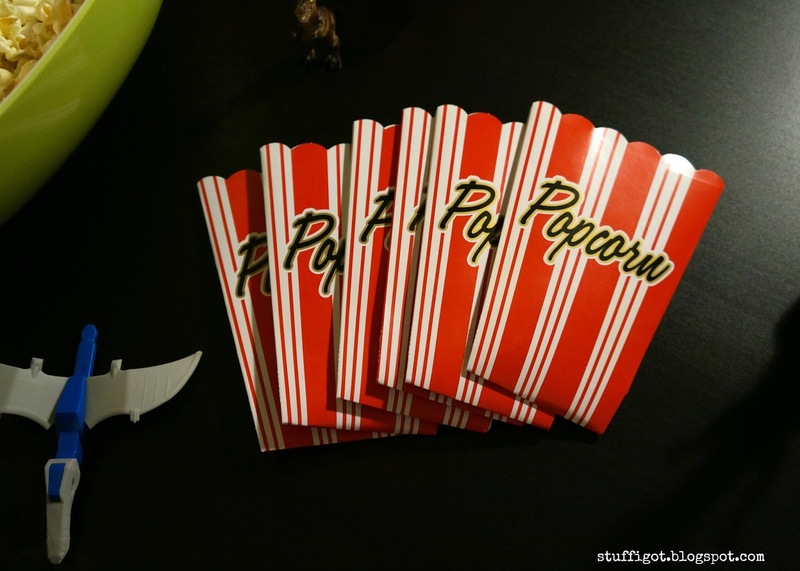 I just looked around our cabinets to see what could be fun to add to our popcorn. 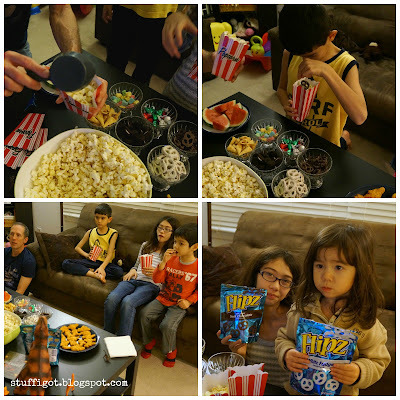 Toppings - We used FLIPZ Chocolate Covered Pretzels in Dark Chocolate and White Fudge, Hershey's Kisses, Mini Oreo Cookies, Bugles and gummy bears. But you can use whatever you want! Marshmallows, M&Ms, chocolate chips -- pretty much anything! Something to serve popcorn in - We used these paper popcorn boxes that I bought from a party store, but you could use small bowls or cups. 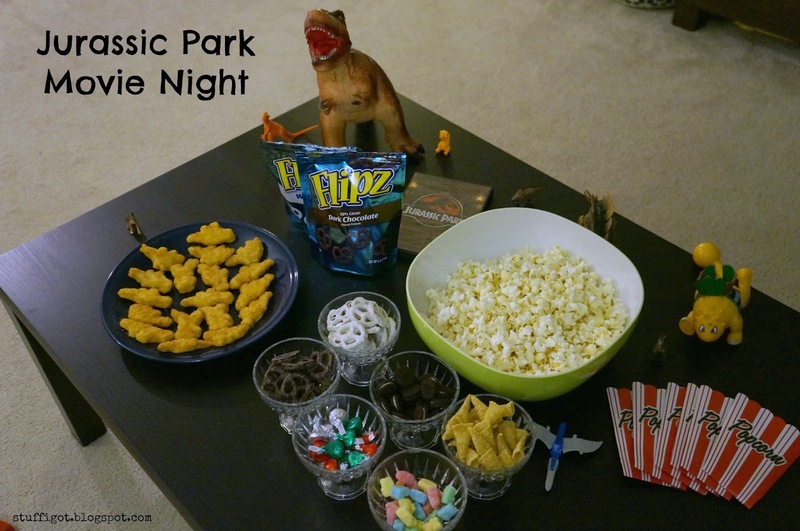 To go with the Jurassic Park theme, we made some dinosaur-shaped chicken nuggets. We also bought pre-cut watermelon to represent the spikes on a stegosaurus! We decorated the table with all the dinosaur toys my kids have. 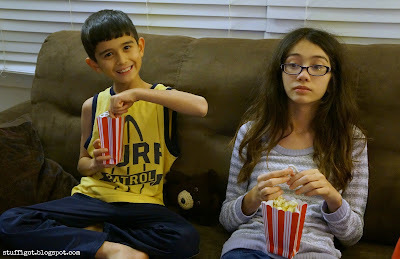 My kids had a lot of fun customizing their box of popcorn. Though, they only made it halfway through Jurassic Park before they asked to watch something else! We enjoyed our first Family Movie Night and can't wait until we have our next one!